Miniature Violin with Case – This cool iPhone case is just what every violinist needs. Made of heavy duty plastic, you can protect your phone in style! The case features a large rendition of a violin in the foreground with a music notes design serving as the background. 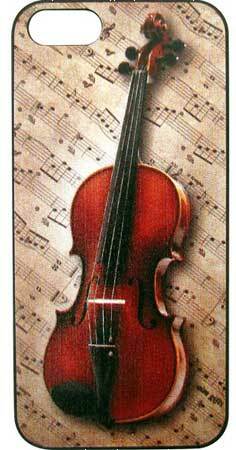 A practical musical gift for the violin player who has everything!